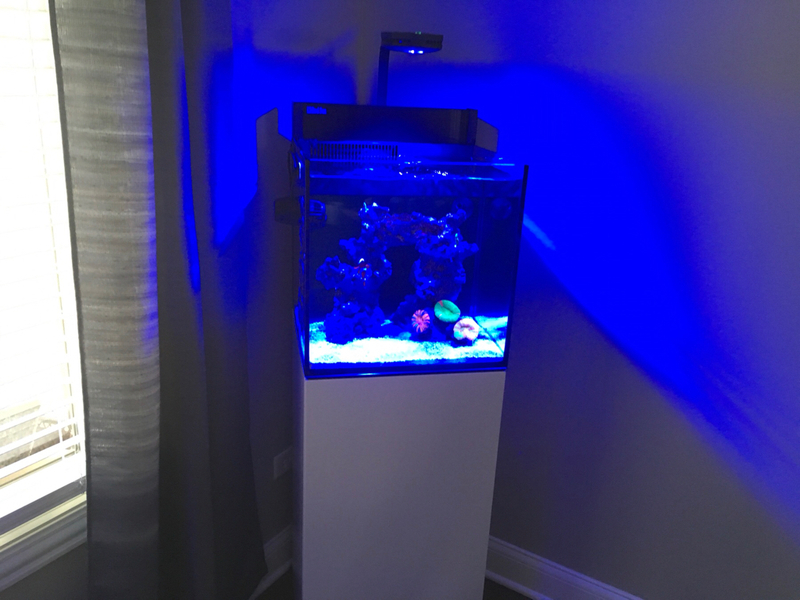 Been reefing for 20 years with various size tanks with the last tank being a IM lagoon 50 sps dominant. I’m downgrading to the max nano. I’m going to try to keep this tank stock in the lighting department since I have grown sps with AI prime on other tanks. 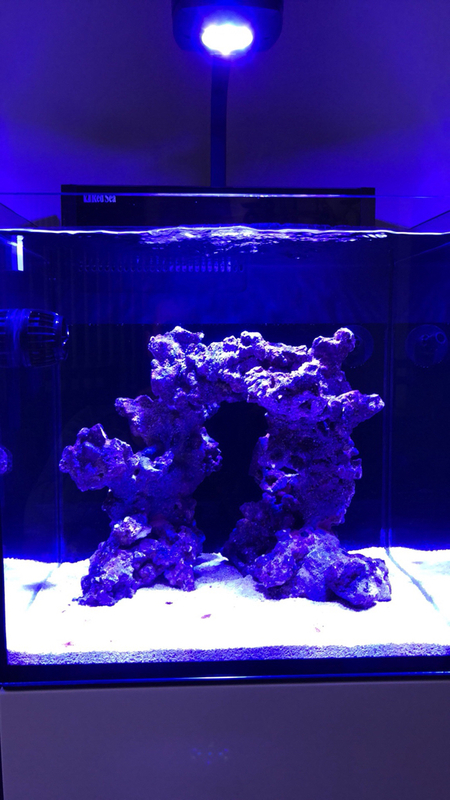 This tank is going to be a mixed reef with high end sps near the top. So we will see how far a single prime HD takes us. The only issue I see is shadowing when they become colonies. The cycle just finished using Red Sea Mature which I recommend. It quickly cycled the tank even missing a few days of adding bacteria and nopox. 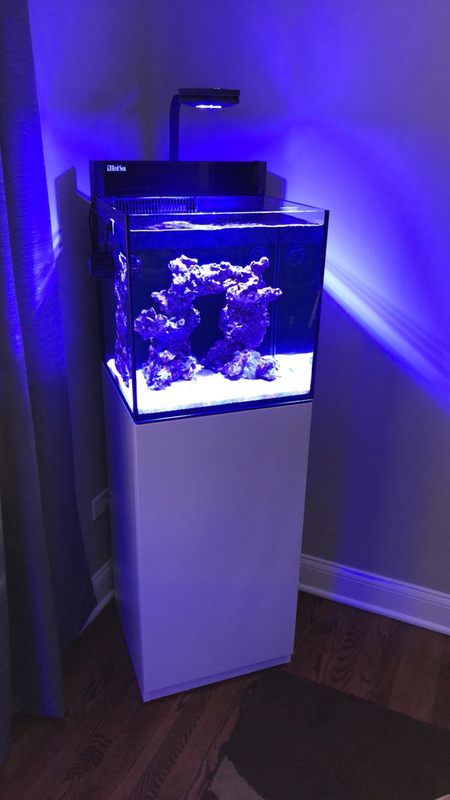 I used Caribsea liferock which looks beautiful under the led’s and came with beautiful shapes which made reef scaping easier. Lower half of tank will be filled with my bleeding apple,reverse bleeding and warpaint scolymia. 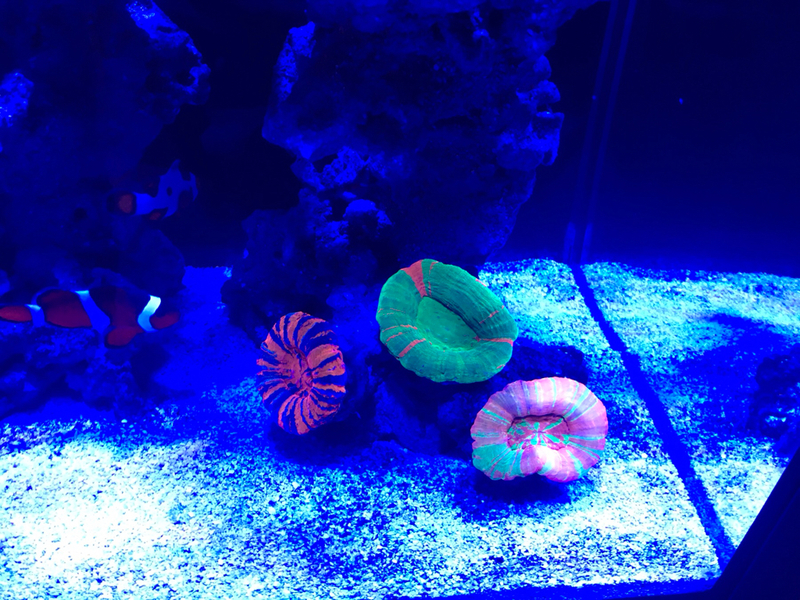 Fruit loop, Rasta, purple hornet, bam bam zoas....what I need to purchase coral wise is dendros, some choice rainbow acans, Red Sea fan and ultra maxima. 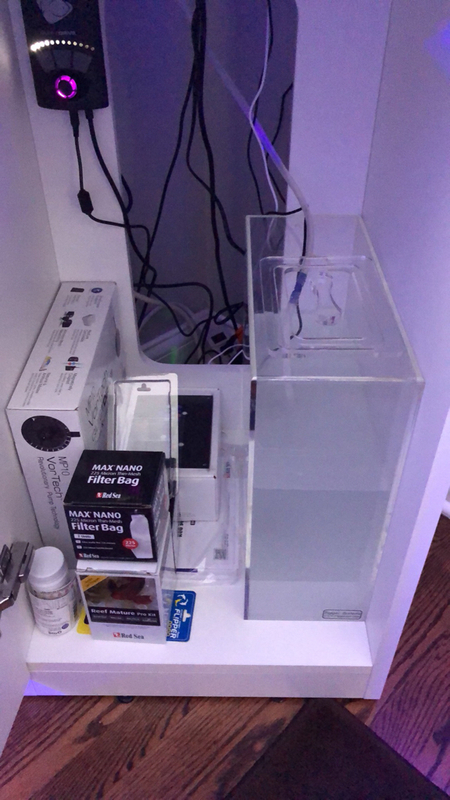 Fish will be a breeding pair of clownfish. The female I saved from petco 15ish years ago and a snowflake about 5 yrs old. I will be using the stock skimmer which works great and using tropic Marin bioactif for nutrient control. Last edited by NaturalReef; 04/16/2018 at 10:17 AM. Wow, looks great. Am ordering my rsmn in June, can’t wait! Out of interest, how long does your ato container last? Big enough for a 2 week vacation? Presumably you’ve removed the ato that is included with rsmn and the icecap ato fits in the same place? Thanks guys! Pinkie, ato right now is lasting over 3 weeks. I removed the stock ato and replaced it with the icecap ato which fits easily in rear chamber. 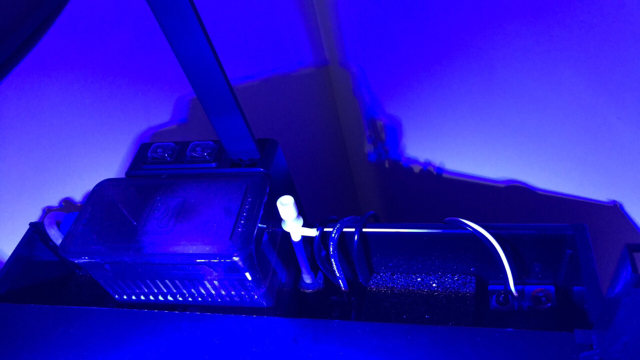 You will love the RSM nano! Transferred the clownfish over. Nemo must have had a full belly as she is picking out a site to lay eggs. They are a mated pair and have been laying eggs for a couple of years now. I also transferred my scolymia and fragged a pearlberry and bonsai acro to see how they fare. Last edited by NaturalReef; 04/24/2018 at 03:09 PM.